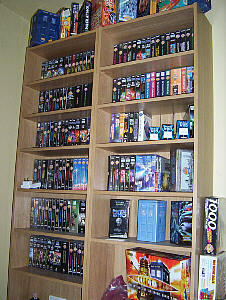 Simon is a young collector (30) in the small village of Ryhall in the East Midlands of the U.K where he has put together an amazing collection. 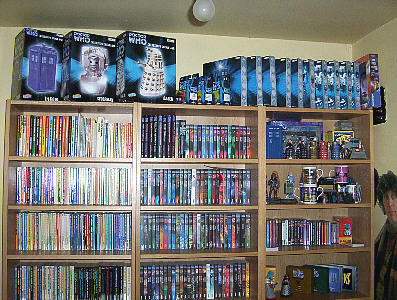 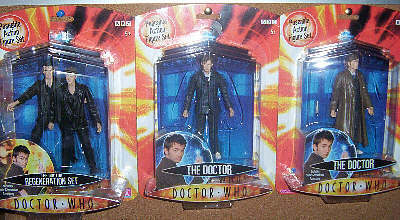 He has been collecting Doctor Who merchandise for the past 25 years and his collection is currently residing in a room at his Granddads house. 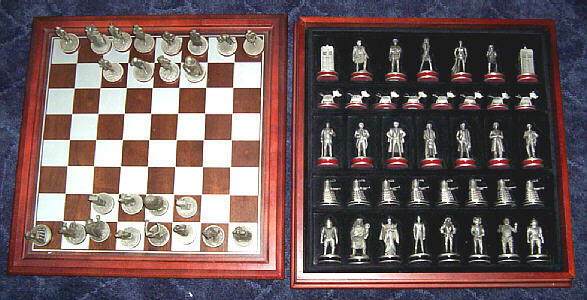 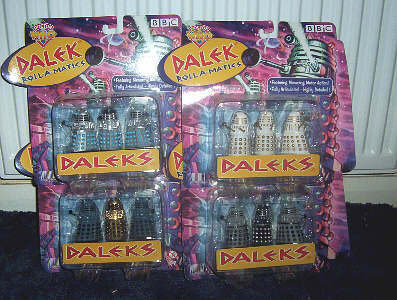 Among his many item he has the complete set of Dr Who titles currently available on VHS, many with autographs of the cast, a half size Dalek and a chess set. 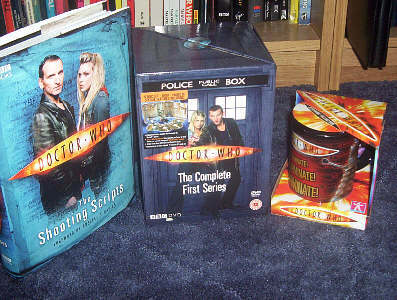 Christopher Ecclestone is Simon's favorite incarnation of the Doctor, simply because he wasn't alive to see the series live back when the others were originally aired the first time. 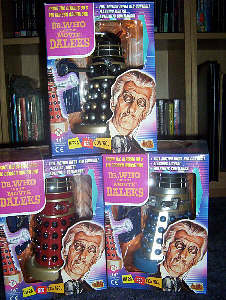 His earliest memory of the 'classic' series is seeing a repeat of Remembrance of the Daleks on UK Gold. 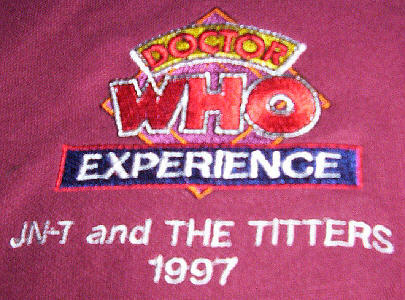 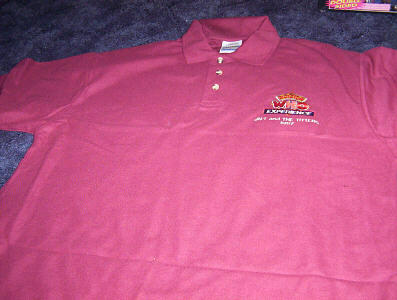 Simon has never been to a convention but hopes to do so in the near future. 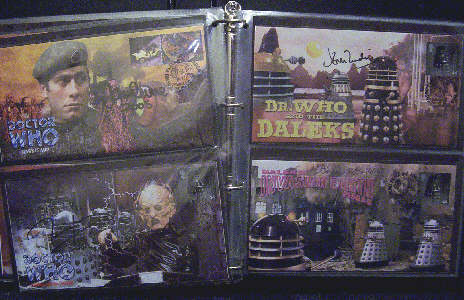 One highlight though would be his recent trip to the Doctor Who Exhibition in Blackpool where he and his family were kindly allowed to sit in Bessie for some photographs. 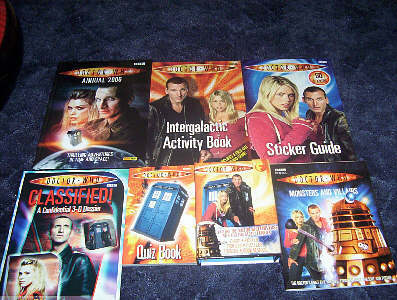 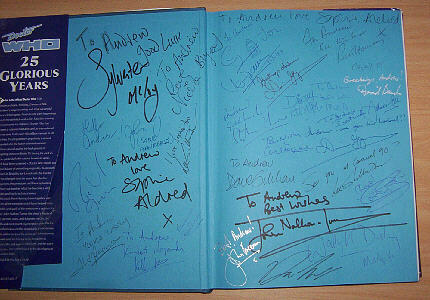 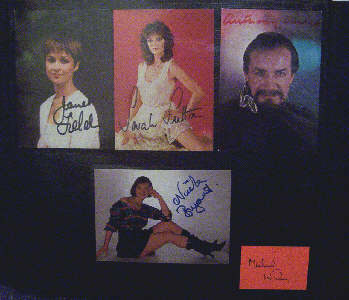 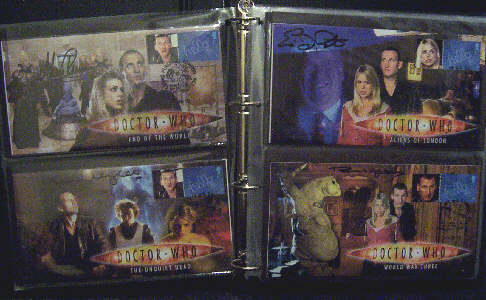 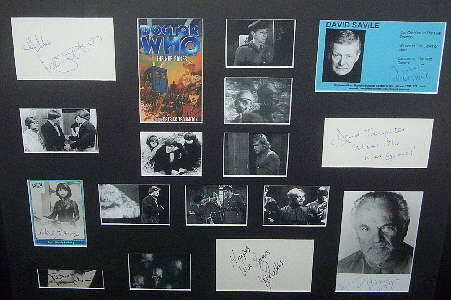 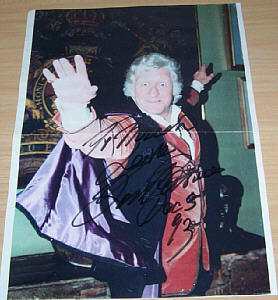 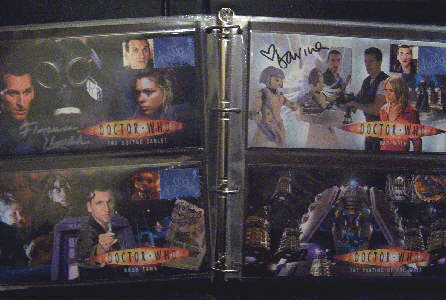 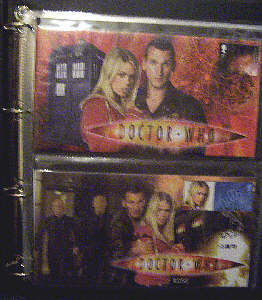 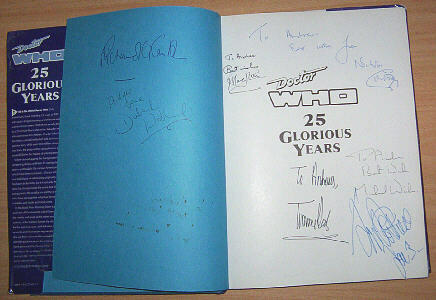 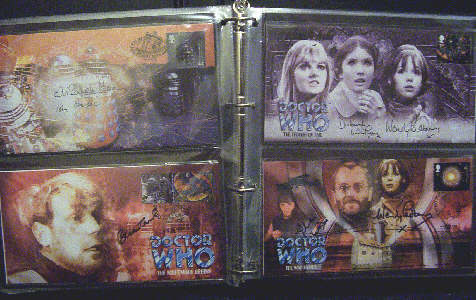 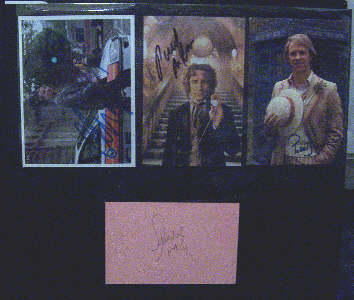 Signed postcards by Chris Ecclestone, Paul MgGann, Peter Davison, and Sylvester McCoy. 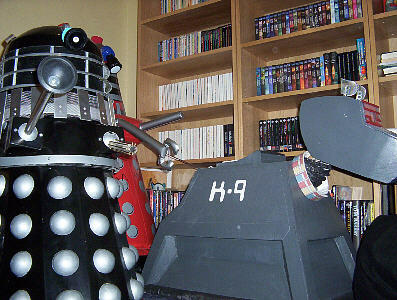 Half size Dalek, Red inflatable Dalek and full size K9 prop. 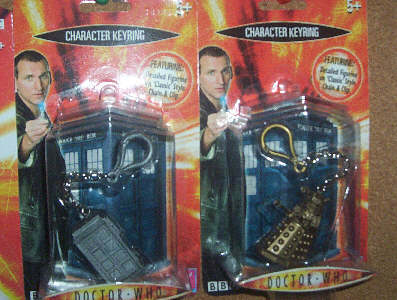 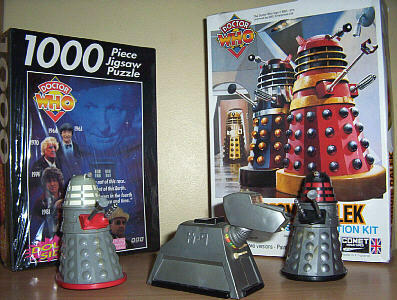 Dalek construction kit, jigsaw 1970's k9 unboxed and 2 early daleks. 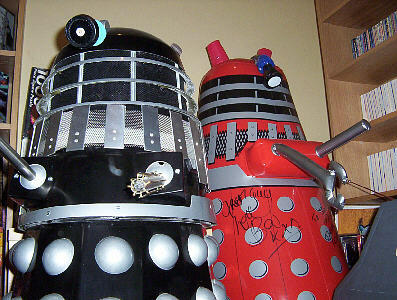 Another shot of the Half size Dalek and red inflatable. 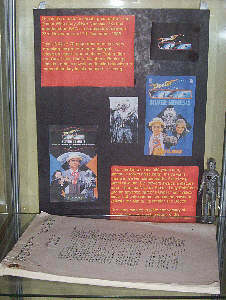 The inflatable was used as a stage prop by 1980's 'Spirit in the Sky' band Doctor and the Medics on a recent tour and is signed by the band members. 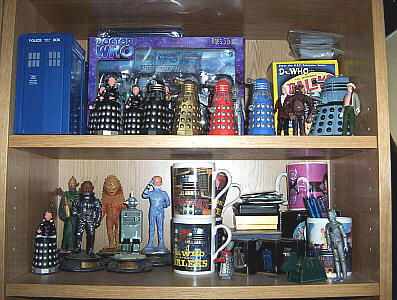 Dalek Cupboard. 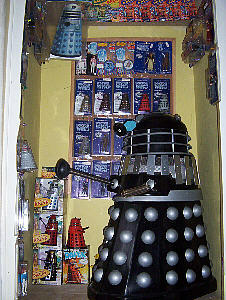 This is where the Half Size dalek lives keeping guard over the various dapol figures, talking daleks and rolykins that surround it. 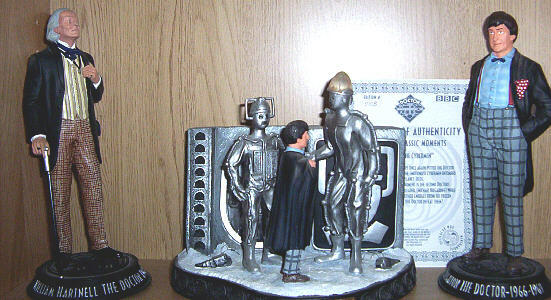 Statues with the certificate of authencicty for the Tomb of the Cybermen display. 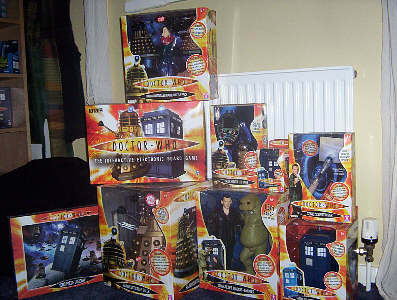 Books, cookie jars, complete set of plates (so far), audio cassestes, models and statues. 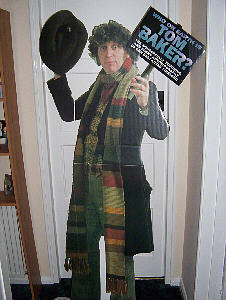 Tom baker shop window display. 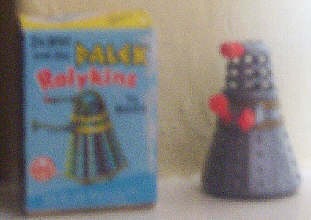 1970's Talking Dalek boxed and in perfect working order with Dalek Bubblebath, unfortunatly unboxed but with original bubble bath content. 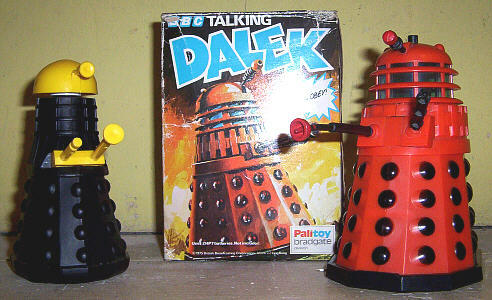 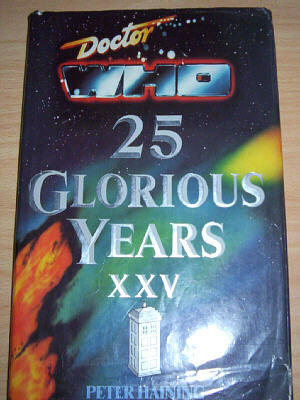 First 2 Dalek Books and first Dr Who annual from the 1960's in excellent condition. 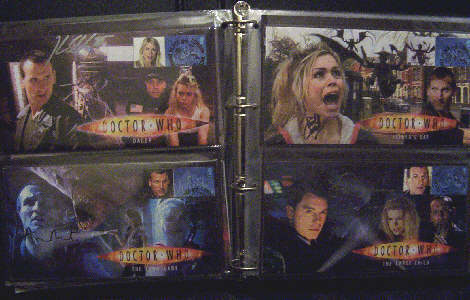 All of the pictures on this page are the property of Simon Taylor and may not be used or reproduced in any way without his explicit written consent.